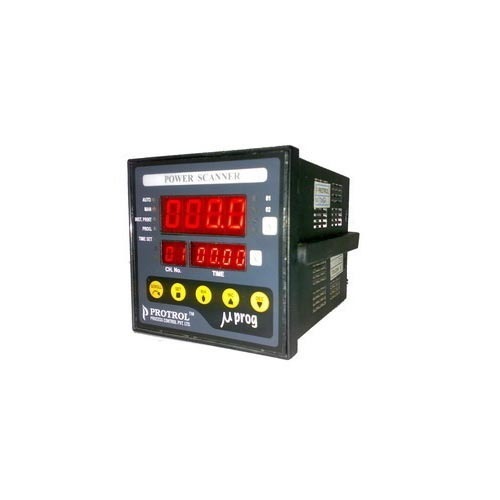 In order to keep pace with never ending demands of clients our company provides excellent quality range of Power Scanner. Our whole range is manufactured under the strict surveillance of highly skilled professionals by utilizing high grade raw material and advance technology. Besides, clients can avail it as per requirement. Our company, Protrol Process Control Pvt. Ltd is the renowned company which is involved in the manufacturing and supplying optimum quality products. We are the Private Limited Company based company which came into existence in 1995 at Bengaluru, Karnataka, India and offering Solar Equipment, Home Security System, LED Focus Lamp, LED Flood Light, Pedestal Fan, Digital Controller, Digital Indicator, Measuring Instrument, Data Acquisition System and many more. Additionally, we are also providing Maintenance Service and many more. We are proud to introduce ourselves as one of the top-notch companies holding a field of expertise for giving a various kind of finest quality products used in various industrial and commercial applications. We have an innovative smart panel which provides customers a wide range of products as per their demands. We are the first choice of our valuable customers due to optimum quality products. Owing to our market credibility, financial stability and material and human resources, we have been successful in grabbing dominant position in the market.